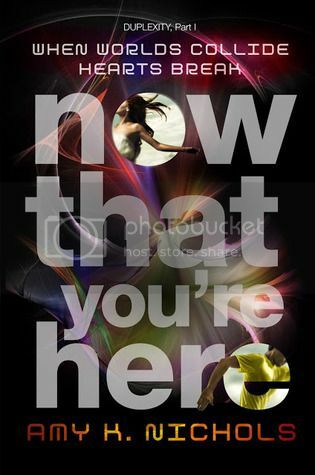 Welcome to The Cover Contessa's stop on the Now That You're Here blog tour! Today we welcome Amy for an interview! Amy, so great having you with us today! Let's get to know you a bit better shall we? Thanks so much for having me! Like many writers, I’ve dreamed of being a writer since I was a kid. My mom still has many of the stories I wrote when I was little. It took me years to get up the nerve to actually pursue it, though. In 2004, when my daughter was a year old and my husband was tired of hearing me whine about wanting to be a writer, I decided to participate in the 3-Day Novel Contest, a crazy writing marathon that takes place every year over Labor Day Weekend. Contestants write a novel in a weekend, beginning Friday at midnight and ending on Monday at midnight. I wrote my heart out that weekend, sent the manuscript in, and won third place. I took that as a sign it was time to pursue my dream. When you sit down to write, do you have any things you need to have right by your side that you just can't write without? I try not to get hung up on location or ritual, but I cannot live without my headphones. Not only do I usually listen to music while I write, but having my headphones on is a signal to my kids that mom is working and, unless it’s broken, bleeding or on fire, they should try to figure out whatever it is on their own. If you were something else in a parallel universe (not a writer), what would you see yourself as? I love thinking about this! So, one of the theories about parallel universes is that when there’s a decision point, the universe splits into two, one for each outcome. If that’s true, then there’s a universe where I’m the principal flutist in an orchestra in a major city (preferably London); a universe where I’m a doctor; a document examiner with a forensics lab; a professor of medieval literature; a famous artist. There’s also one where I got crushed to death during Hogmanay (New Year’s) in Edinburgh, Scotland, but I don’t like to think so much about that one. It’s a tie between band and English. I loved music (still do), and I loved reading (still do). If you had to choose another profession (if writing just wasn't in your cards), what would it be? 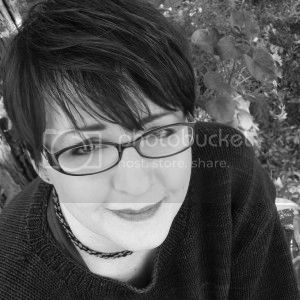 Before becoming a full-time mom (and pursuing writing), I worked as a graphic and web designer. I still love doing design work, so I’d happily return to that. Or I’d go back to school and see if I had it in me to become a quantum physicist. That would be so cool! Scotland. In a heartbeat. Either in the highlands or on the Isle of Skye. It's Halloween, you have to choose your favorite sci-fi character as your costume, who do you choose and why? I would totally dress up as the tenth Doctor (Doctor Who). My hair is already short and brown, and I have his sonic screwdriver. Allons-y! If you could choose to be any character in a book, who would you choose? Who influences you as a writer? So many authors influence me through their books: Neil Gaiman, Patrick Rothfuss, Michael Ondaatje, Louise Erdrich, Audrey Niffenegger, A.S. King, Markus Zusak. But one author has literally influenced my writing and my journey toward publication: James Sallis, author of such novels as Drive and the Lew Griffin series. A number of years ago I signed up for a novel writing class he was teaching at a community college, and it literally changed my life. Over the years he’s become my mentor and friend. I can say without hesitation that I wouldn’t be where I am today if it weren’t for him. Tell us one random fact about you that we would never guess. I’ve met Benedict Cumberbatch and Martin Freeman. Chocolate or vanilla? Definitely chocolate. Do you know how to ride a bike? I love riding my mountain bike. Favorite book to movie? I’m going to cheat and say The Lord of the Rings trilogy of books/movies. Thanks so much for being with us today. It was great getting to know you! It's definitely for the science geek in you! I love books with a little bit of science fiction! Sounds great.